The mirrored cup restores the distorted images on the saucer. What an interesting gift for your beloved and yourself! 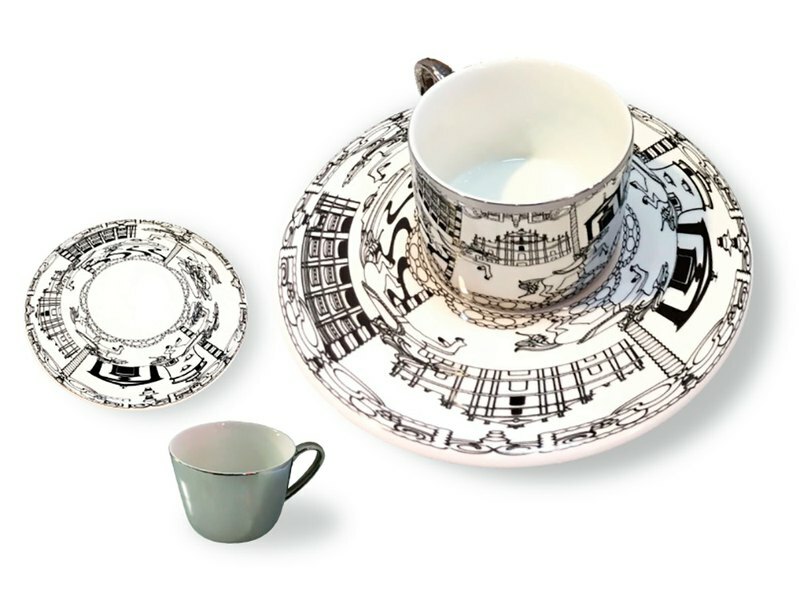 The distorted images on the saucer are the famous buildings of the Macau Heritage City. They are The Ruins of St. Paul Cathedral of Macau, the Fountain, the Lighthouse and the representative flower Lotus. Diameter of cup: 8.5cm Diameter of saucer: 20cm A box and shock absorber pads are also included.